Q: A1 has entered the court as a 6th player. He is fouled by B2 in the act of shooting a 2-point attempt. On finding that A1 is the sixth player, he is sent out and a timeout charged to the coach. Question is whether the players on the court belonging to team A should take the two free throws or any substitute sent by the coach? A: The player fouled in the act of shooting would shoot the free throws. One of the other players would be sent off. Also, it’s not a time out charged to the coach, it is a technical foul. 36-7 Statement. 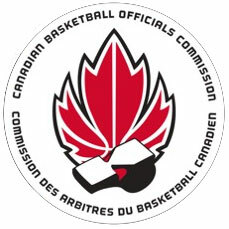 After it is discovered that a team is participating with more than 5 players, it is also discovered that points have been scored or a foul has been committed by a player of this team while participating illegally. All such points shall remain valid and any foul(s) committed by (or against) that player shall be considered as player fouls. B1 fouls A1 during his unsuccessful shot for a field goal. A1 shall attempt 2 or 3 free throws. a technical foul shall be charged against coach A, recorded as 'B1'. Follow up Question: If the last free throw by the 6th player is missed, should the game stop and have him return to the bench? What is the procedure for removing the player from the court? Follow up Answer: There is no real way to determine one who the sixth player is, otherwise there would not have been six players on the floor. Anyone of the six players would leave the playing court prior to the free throws so that there are only five players on the court.